Knotta is a brass chandelier breaking from the tradition of the radially symmetric typology. While the principles of symmetry aid in the construction of equilibrium to ensure a chandelier holds it’s candles vertically, this constraint is no longer necessary in the digital era. This chandelier is the result of two calculations. The first generates a dynamic relaxation of a string bundling, which produces a three-dimensional branching network that serves to stabilize the system. The second calculation iterates through this dynamic relaxation re-determining the new center of gravity. The result is equilibrium of both of these calculations. Each of the nodes is unique. They are first 3d printed, then cast of solid brass via a centrifugal lost-wax (though in this case nylon) process. 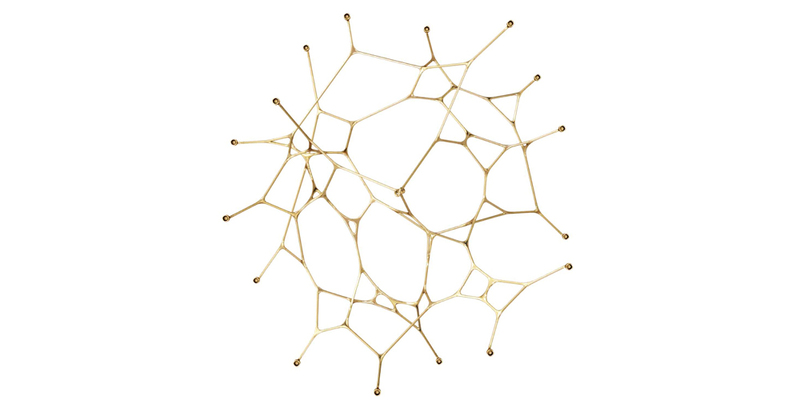 Each node is then connected with a variable length of brass tubing. This chandelier is constrained by the capacity and scale of its serially variable casting process. This positions geometry as reactive and non-authorial. 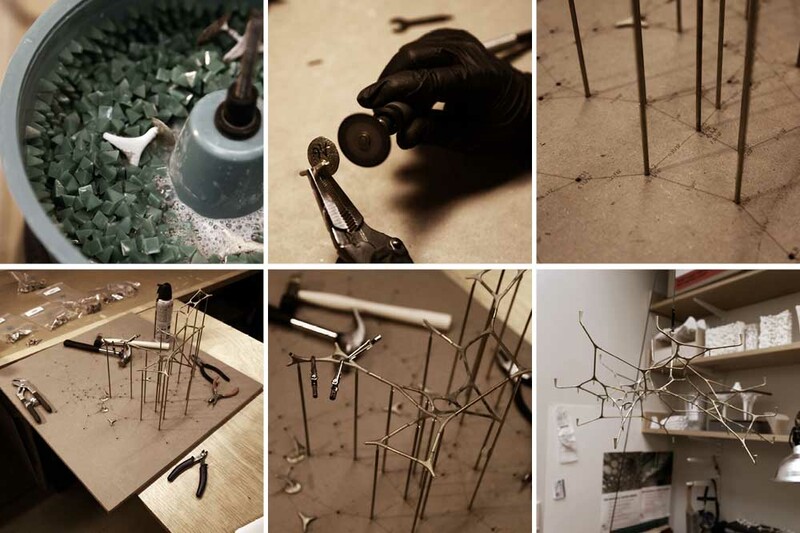 Craft, sequence, labor, and method are paramount to the resulting architecture. The title Knotta is a play on words. Knot: intersections, nodes, and networking. Knotty: a tangled mess that could also be read as ‘naughty’. When pronounced, it also reads as NADAAA, the location of the exhibition.